We’ve got a huge week ahead of us with RBA insights and lots of domestic data being released. 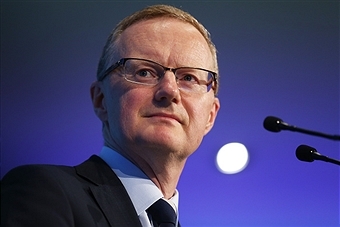 All the new information should shed some light and provide more certainty around the RBA’s outlook. Tomorrow at 2:30pm, the RBA will decide on the cash rate, which is widely expected to be held at 1.5%. Despite keeping the rate on hold, there’s a chance we might hear them adopt a slightly more dovish tone in light of what’s happened over the past 2 months. We’ve seen a sharp deceleration in the housing market, perhaps sharper than the RBA had expected, and indications of weak domestic consumption for December with weak online sales and low foot traffic. Adding to this, business conditions which were key to the RBA’s upbeat outlook didn’t hold up and instead, collapsed over January. On the flip side, employment conditions remained sound towards the end of 2018 and although inflation dipped, it still hangs around the lower range of the RBA’s target band at 1.8%. How the RBA interprets all this, as well as the December retail figures, the Banking Royal Commission Recommendations and trade data released later, prior to tomorrow’s meeting will be key for the monetary policy outlook. With the meeting tomorrow, Governor Lowe’s speech on Wednesday, where he can more candidly discuss the outlook, and updated forecasts in the Statement on Monetary Policy on Friday, we should have a much clearer idea on where the economy is headed by week’s end. Weak Housing Market Data Adds to Uncertainty About Outlook RBA DAY: How Much Will the RBA’s Narrative Change?